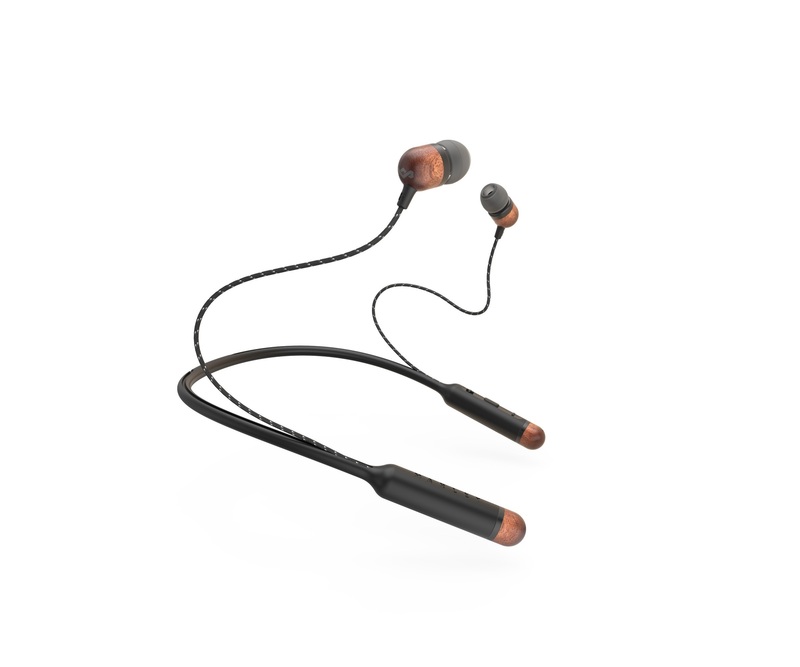 New from The House Of Marley (HOM), is a classy twist on the modern audio piece. The Smile Jamaica BT In-Ear Headphones boast all of the technological features one would expect from a 2017 audio product, without sacrificing any of HOM’s inherent reverence for old-school style. A formidable force at this year’s CES, the House Of Marley took home a highly coveted “Best of CES 2017” award from Sound Guys for the Smile Jamaica BT. This is thanks to a slew of features including an impressive eight hour play time, BluetoothTM wireless playback and microphone + three button controls, for a more commanding audio experience. You can say goodbye to cables snagging on your shirt or bag: the Smile Jamaica BT is a hybrid design, wireless where it counts but not without security and comfort – this is thanks to a lightweight neckband design and tangle free braided cable, which will ensure that your new headphones stay firmly put, even during acts of physical exertion. Not only comfortable and powerful, these in-ear headphones are made from almost all recyclable materials, such FSCTM certified wood, recyclable aluminum and REGRINDTM silicone, to ensure that the Smile Jamaica BT caters to both your aural senses and the planet. All-in-all, the Smile Jamaica BT In-Ear Headphones will make your listening experience more seamless, with premium sound quality, unique visual impact and total ease of use.